Nepenthes mira is well known for producing beautifully colored orange-red pitchers throughout the plant. 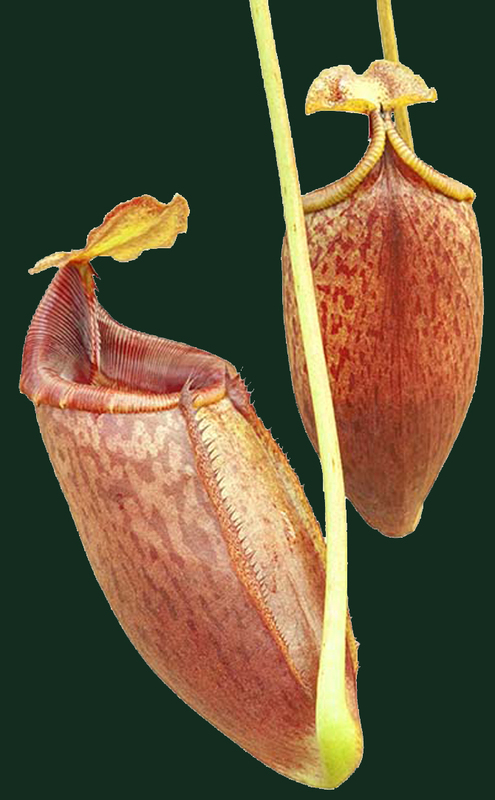 But as the plant gets larger, it starts to produce funnel-shaped upper pitchers. They almost look like a toilet bowl! Medium plants 3 to 6 or more inches in diameter are potted in 6-inch hanging baskets and ready to grow, not bareroot as you often find with other suppliers. Water and enjoy!